A HEAVY police presence has overshadowed the funeral of Rebels Motorcycle Club member Gregory "Dodgie" Delbridge. Police were keeping a close eye on mourners in a bid to ensure compliance with current State Government legislation surrounding outlaw motorcycle gangs. 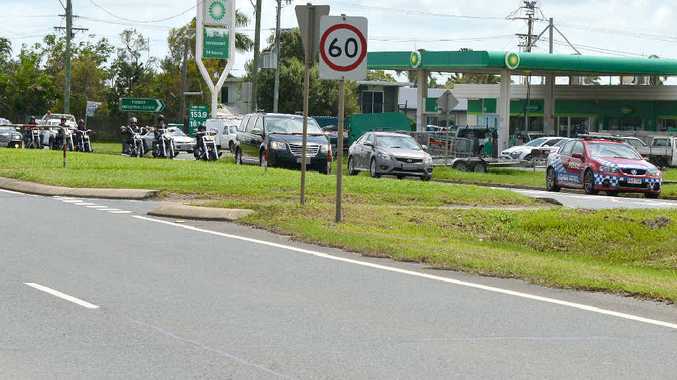 A procession of motorcycle riders followed the hearse along Harbour Rd yesterday, passing up to four police vehicles strategically placed to watch funeral-goers. Only one was seen in the Rebels club "colours", riding separately from the pack, while the rest wore dark clothing. 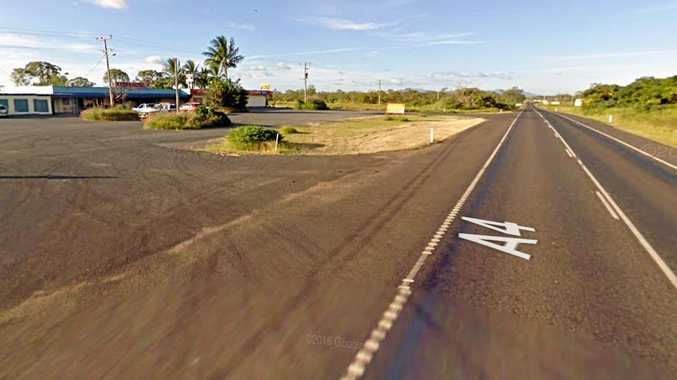 A Queensland Police statement said the legislation surrounding "criminal participants knowingly being present in a public place" did not provide any exemption for situations "such as funerals". "Taskforce Maxima has been in contact with the organisers of this event, reiterated the legislative requirements and monitored compliance with legislation during the event," the statement said. "The wearing of colours in a public place or lawfully riding of a motorcycle is not illegal, and therefore is not something the Queensland Police Service would take action upon; however, three or more criminal participants in a public place is something the Queensland Police Service (QPS) would investigate and respond accordingly." The Daily Mercury requested comments from the QPS about how many officers policed the event, whether it was common for police to liaise with outlaw motorcycle clubs, if more than three outlaw club members were in attendance at the event, and if any arrests were made. The QPS did not respond to these questions, instead providing a statement. They also could not confirm what a large gathering of police at the Mackay showgrounds, prior to the funeral, was related to.